'Innnn one'... 'It's a bullseye!' If you loved weekend TV in the '80s and '90s then you'll know exactly what we're referring to. And if you don't, check out an episode of the iconic darts-based game show on YouTube. 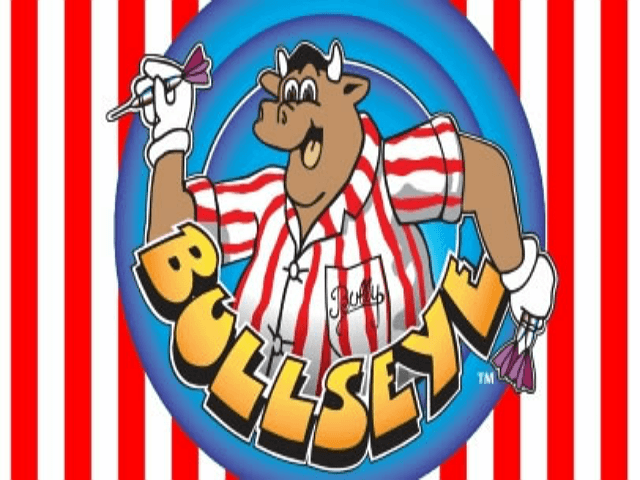 Alternatively, relive it all and take to the ochre yourself with the Bullseye slot from Microgaming – a classic arcade slot machine with 243 ways to win a prize, retro satisfaction and two bonus rounds that would have had Bully mooing loudly back in the day! 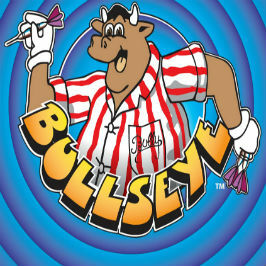 Play Bullseye for Real Money! 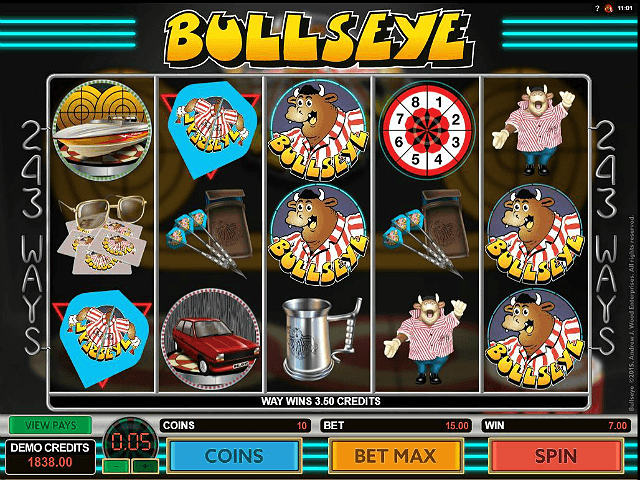 Microgaming's Bullseye slot is inspired by the TV game show that graced the screen along with classics like The Dukes of Hazzard, Blind Date and Baywatch – those were indeed the days. And the Bullseye slot won't let you down when it comes to nostalgia, since it features graphics that replicate the key elements of the show. Just as crucially, it also uses the iconic theme music, catchphrases and voice-overs from the authentic 'Bully' and the show's presenter, comedian Jim Bowen. The slotscape has a gameshow vibe and is loaded with related symbols including Bully images, beer tankards, darts, Jim's specs and quiz cards, speedboats, cars and caravans, wads of cash and a host of other icons enabling 243 ways to win over five reels. Graphically, the game is pretty retro, but it gives the slot a feeling that mimics the TV show, so hats off to Microgaming for keeping it real. Bully's Prize Board icon has the power to launch the bonus game, which is just like the one used on TV – a very nice touch. The Bullseye slot has a solid base jackpot of up to 400.00, big win multipliers and a return-to-player ratio of around 96.5%. *Other icons such as dart feathers, cash, Dart pack, Jim’s quiz cards and beer tankards pay from x3 to x100. Matching bonus board symbols on reels one and four triggers Bully's prize board, complete with Jim and Bully's voice-overs. You get five throws of the darts where wins have 2x and 15x multipliers for wins up to 75 times your stake. Up to the ochre, you can do it! 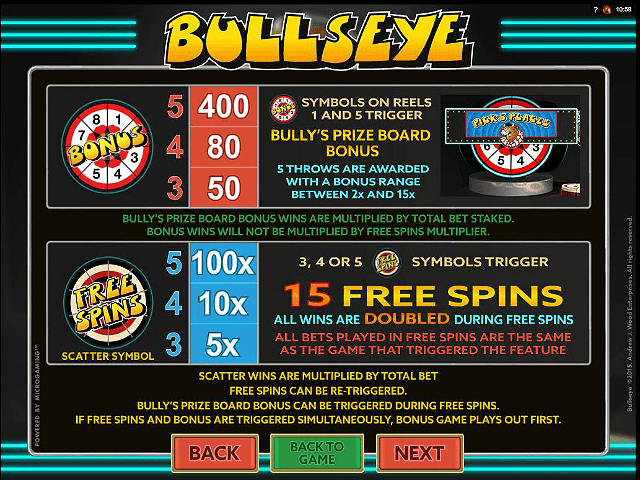 When you land three or more free spin icons across the reels, Bully gives you 15 free spins with a 2x win multiplier. You can also scoop more spins up to a total of 30 and win jackpots up to x8,100 your bet! 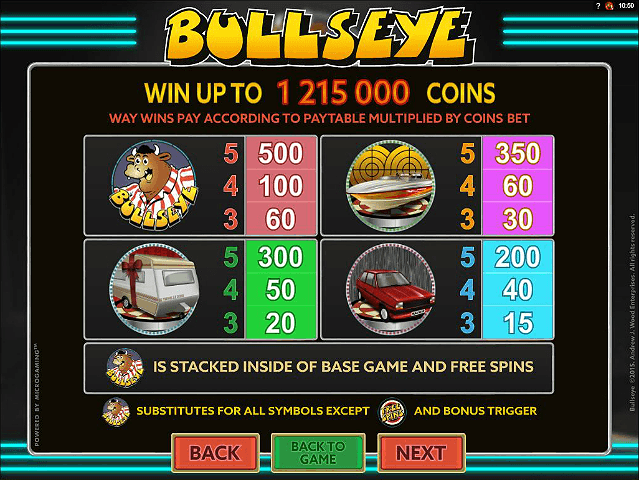 Bullseye slot might not be Microgaming's finest work of art, but it's great fun and has been executed perfectly in terms of bringing the feeling of the TV gameshow to the slot screen. If you loved Bullseye back in the day, then you're highly likely to find it satisfying. Share this Bullseye Review today! If you like Bullseye, you'll love these slot titles too!